← Next Session Of The Ladder – March 12th: First Responders And First Aid! 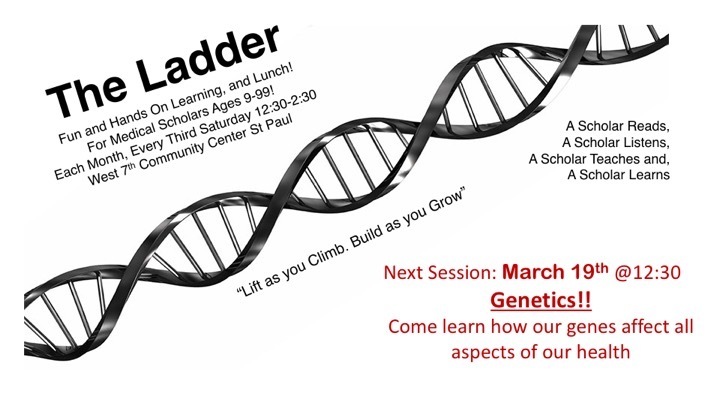 While the Ladder in North Minneapolis isn’t going anywhere (we’ll continue to be meeting every 2nd Saturday of the month at the UROC – same bat time, same bat channel!) – the Ladder is expanding to provide hands-on learning and medical career mentorship to medical scholars in St. Paul now as well! That means this Saturday, March 19th – you can catch the Ladder is St. Paul! Get there! This entry was posted in upcoming meetings and tagged health careers, medical mentorship, The Ladder. Bookmark the permalink.